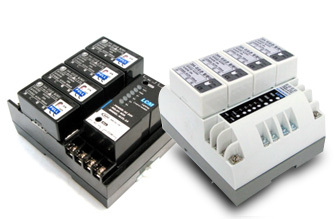 ALCL 4ch series products provide 4 latch relays. They also provide assured connection with the LonWork network while excellently performing in the effective buildings management as well as in saving energy. As the features of ALCL-14, the control commands and the relay state can be compared to detect errors and carry out retrials. Therefore, it has enhanced the reliability of controlling. It responds to the traffic on the network using the configuration property appropriately. In addition, as FT5000 is applied, the cost for the LonMaker Credit can be reduced (when the LoMaker Toubo latest service pack is installed).